PHARMAPARK LLC is a private Russian pharmaceutical company. 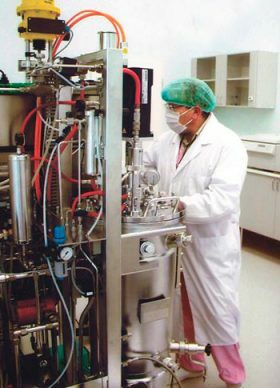 The company was set up in 2001, and is engaged in development and manufacturing of recombinant biopharmaceutical substances and finished medicinal products using these substances as active ingredients. The company also provides services in biopharmaceutical drug development. Our products are either included in the national list of vital and essential medicines or are used for their manufacturing. PHARMAPARK holds national ISO 9001:2015 (GOST ISO 9001-2015) and GMP (GMP-0010-000195/17) certificates.